The first stunning footage of Marvel's Avengers "Infinity War" was shown at D23 Expo, and we've got the breakdown. They shows about 5 minute of footage of Marvel's Avengers "Infinity War" and it looks amazing! The big d23 expo is going on right now just had their giant marvel presentation, and in it we actually got to see Kevin Feige walk on stage and he says every Marvel superhero would be in avengers infinity war , and then one by one every single one from Robert Downey jr,Iron man to doctor strange to Black Panther and spider man all came out on stage . But ,then after that they were joined by the guardians of the galaxy Hulk and Thor and then they went on to present the trailer for Avengers infinity wars . First off some of the details were getting are the fact that everything seems to be very bright like , golden space battles its very vivid almost like what weve seen in guardians of the galaxy and Thor Ragnarok . The full description of the trailer, we start off at Avengers Tower which comes in to frame and then we get clips of the Avengers captain America the Winter Soldier guardians of the galaxy vol2 Doctor Strange Iron man you know age of Ultron pretty much recapping everything catching us up to where we're at Thor the dark world Iron Man 2 and 3 everything we've seen so far and then it cuts to mantis who says we have arrived to the guardians of the galaxy , we then see ateenage group in a sea the body of Thoreau lands on the windshield and his hair is short rocket is startled by this and mantas ends up waking him up. Avengers honestly this sounds like the greatest thing i've ever read . 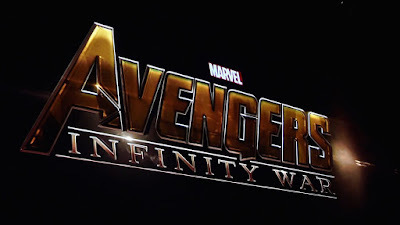 No Comment to " By video: Avengers Infinity War teaser trailer on D23 Expo, Description & Details "